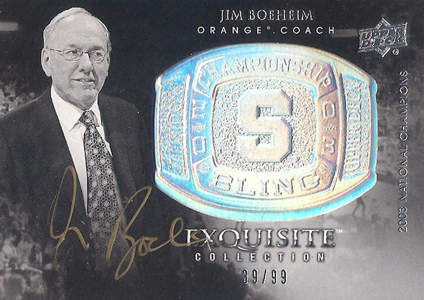 If you like it maybe you should put a ring on it. 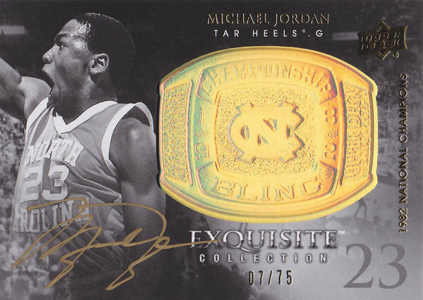 Beyonce's words of wisdom couldn't be truer than with 2011-12 Upper Deck Exquisite Basketball Championship Bling. 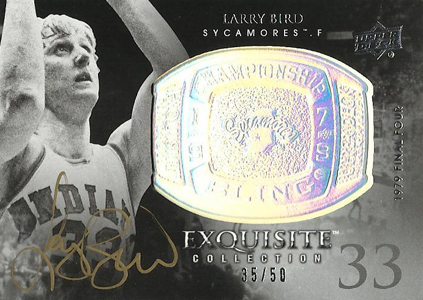 Autograph cards of Michael Jordan, LeBron James and Larry Bird are nice. 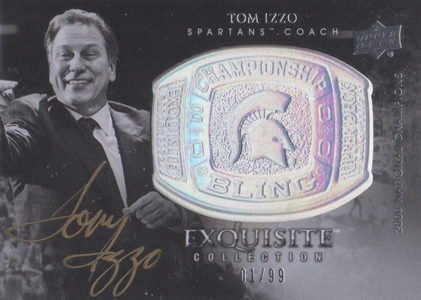 But when you put a ring on it, it looks even better. 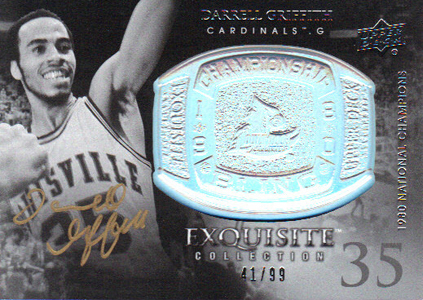 The cards have a black and white player photo on one side of the card with a massive foil ring element embedded into it. 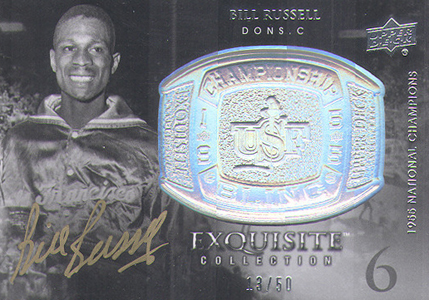 These rings don't aim for realism like those found in 2012 Topps Baseball. 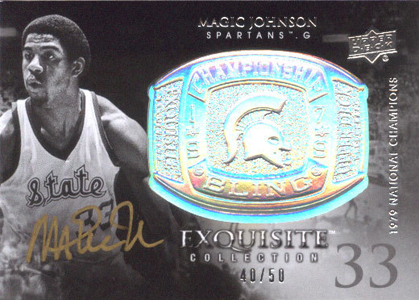 Rather, they're about the flash. 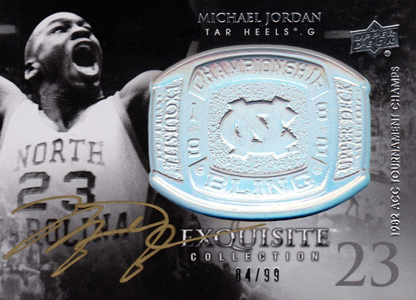 The set is called Championship Bling, after all. 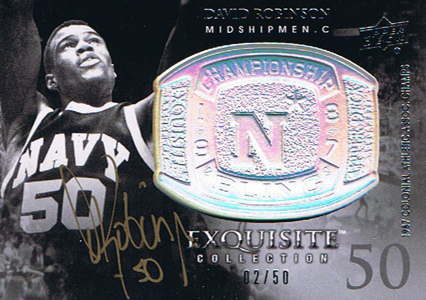 Although the signing space isn't huge, there is still enough room for a nice autograph. 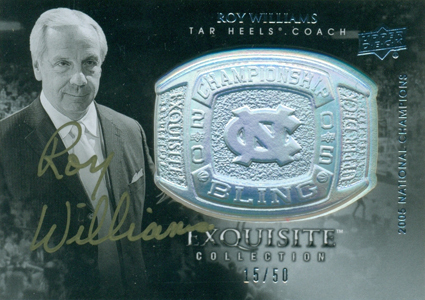 It also helps that the players on the checklist have decent signatures. 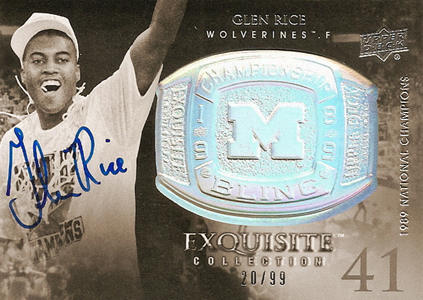 All but Glen Rice signed with gold ink. 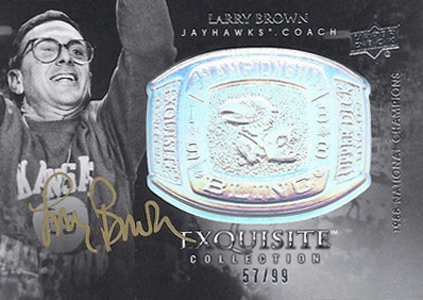 Rice's signature is in blue. 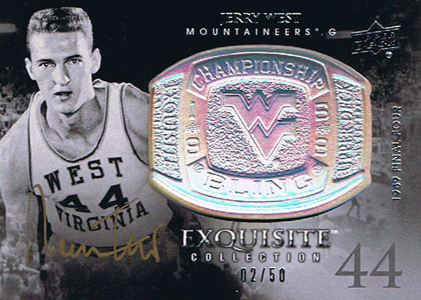 The 40-card set features 27 different players. 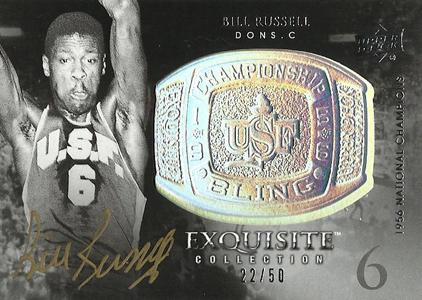 Some of the bigger names, like Jordan, James and Bill Russell have multiple cards in the set. 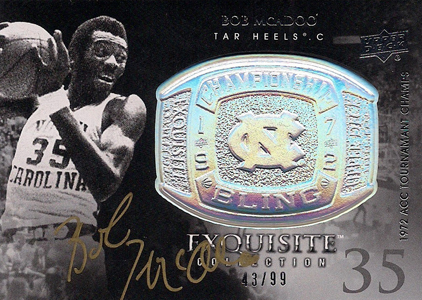 Individual cards are all numbered to either 99 or 50. 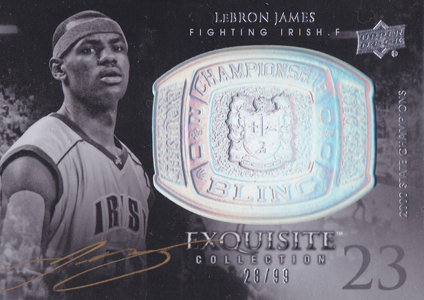 2011-12 Upper Deck Exquisite Championship Bling also has a parallel. 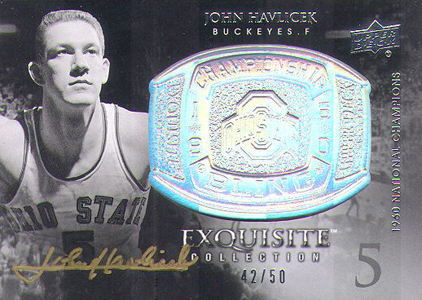 The ring on these cards are gold instead of silver. 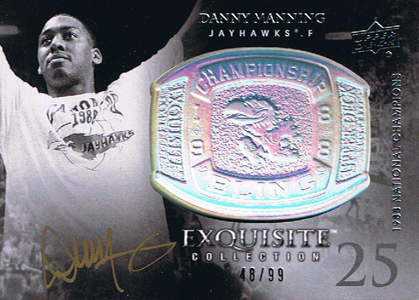 Print runs are also lower with all parallels numbered to either 75 or 35. 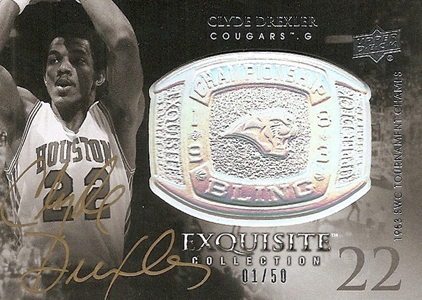 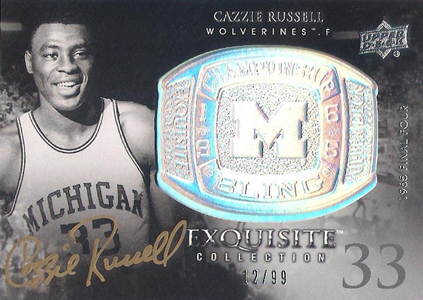 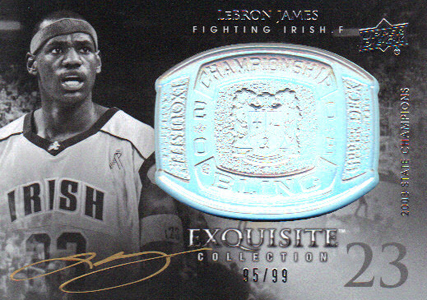 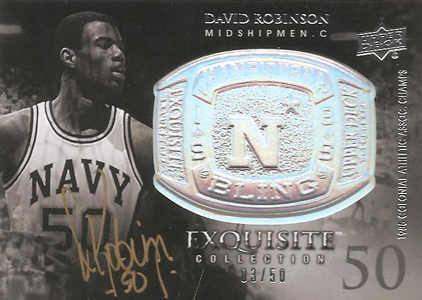 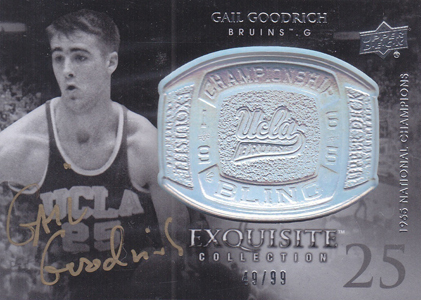 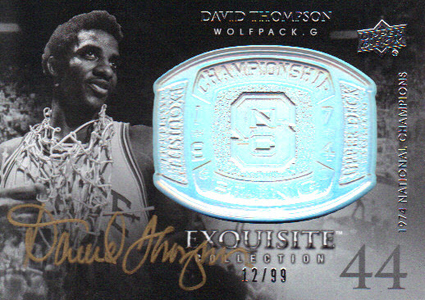 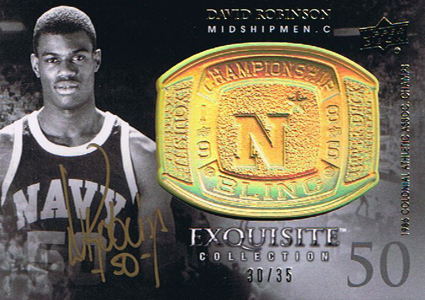 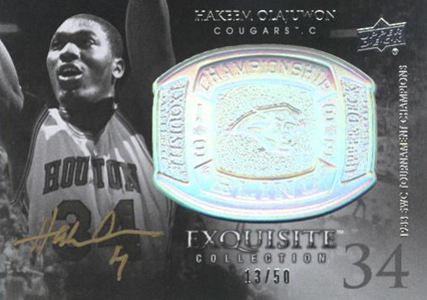 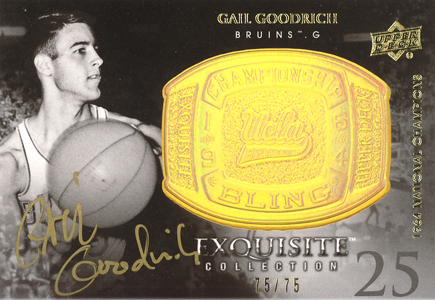 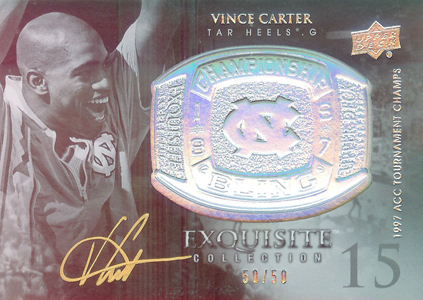 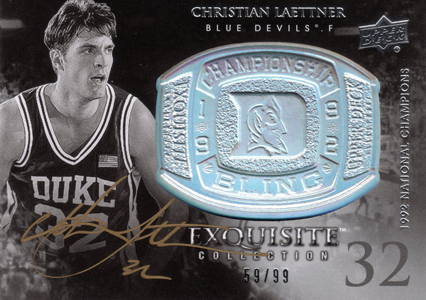 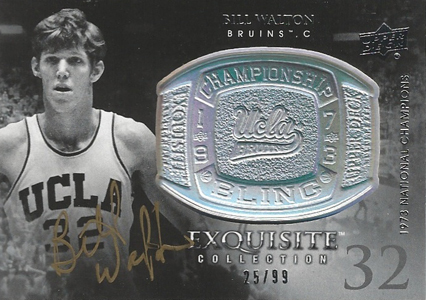 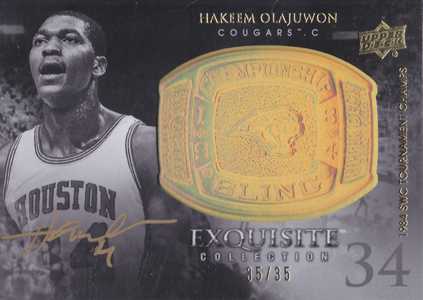 Below is a gallery of the entire 2011-12 Upper Deck Exquisite Basketball Championship Bling set. 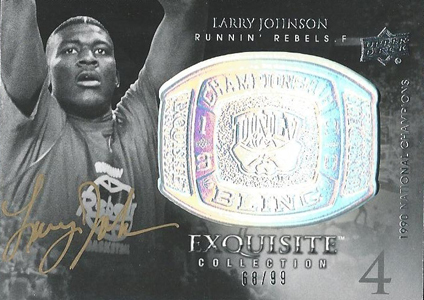 A couple of the images show the parallels, but the player photos are the same. 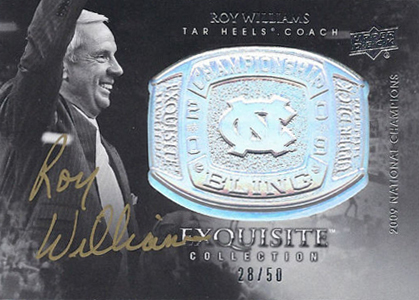 We've also included complete checklists for both versions of the set.